Try this dish with Better Than Bouillon® Reduced Sodium or Organic Seasoned Vegetable Base. * If you don’t have access to a stand mixer, you can use a mixing bowl and stir the first six ingredients until combined. Next, add the spinach and feta cheese and fold until combined. Add the cream cheese, sour cream, Seasoned Vegetable Base, garlic, Hot Sauce, and onion powder to the bowl of a stand mixer* fitted with the paddle attachment. Mix on low for 1 - 2 minutes until smooth. Add the spinach and feta cheese and mix for 1 - 2 more minutes. 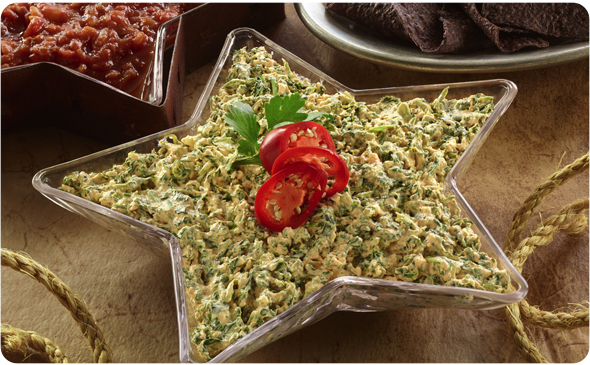 Serve with corn chips, blue chips, pita bread, or other favorite dipper. Or, refrigerate until ready to serve.